Misty’s Dance Unlimited has created its own sustainable ecosystem. Virtually all runoff from the property is captured and filtered naturally, instead of flowing directly to street drains and our waterways. The business is setting an example, not only for hundreds of kids and parents who walk through its doors each week, but for our community as a whole. See the full interview with Misty below. Tell me about the process before landscaping was done. Were you involved with planning? Did you understand why certain things were being done to prevent runoff? 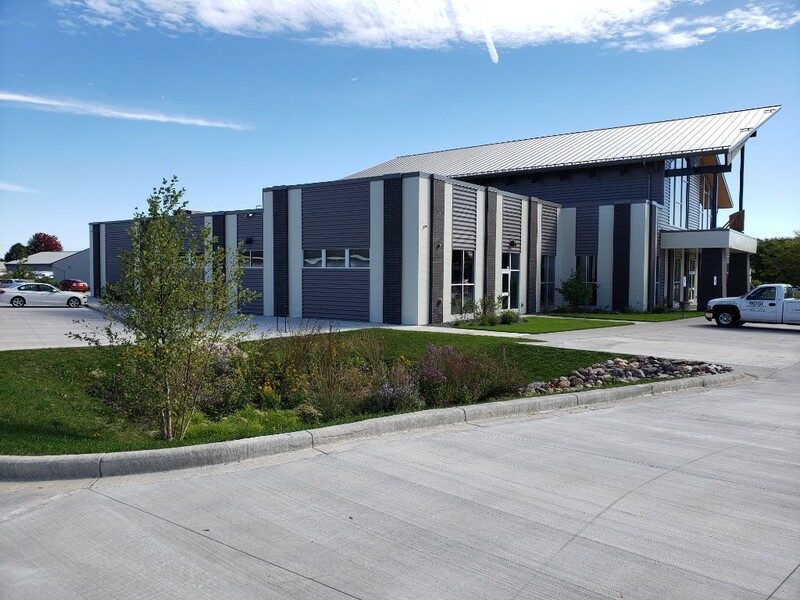 When our family decided to build a new facility, making our building as “abundant” to the community as possible was a natural part of the planning process. 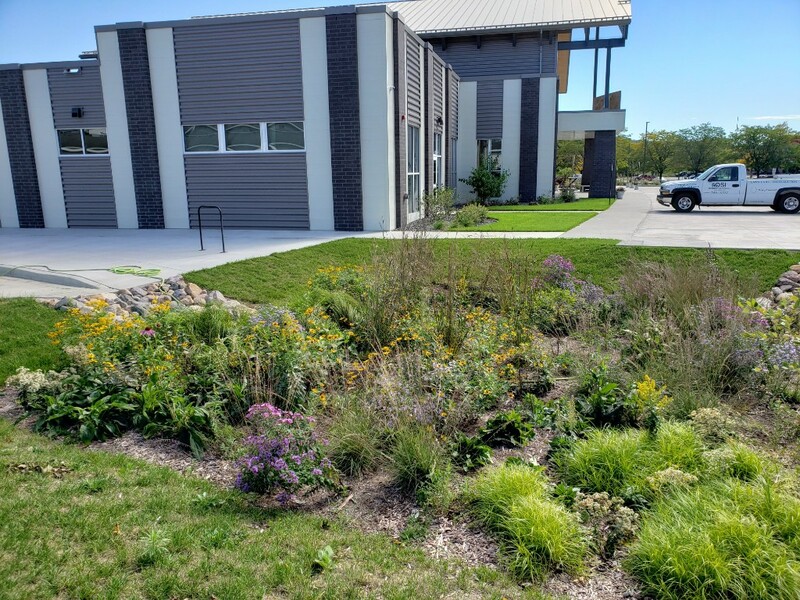 We included Judson and Coulee Region Ecoscapes in the planning with Borton Construction and ISG very early—a move that helped to manage budgets and expectations. 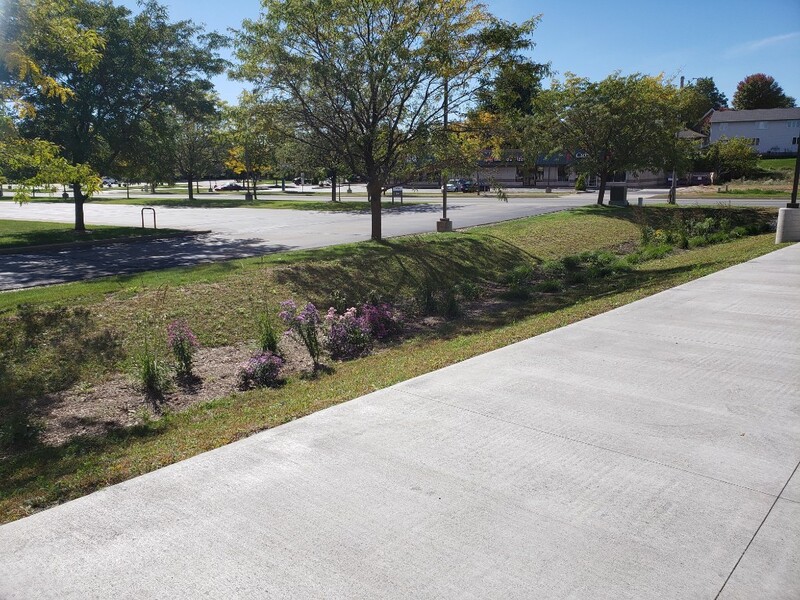 With all three of those groups at the planning table it was clear how things could work together to meet and exceed City expectations for preventing run off, and also to create a beautiful landscape and educational opportunity for our students. Talk about your reaction after landscaping was installed. You said earlier it seemed like there was a giant moat around the building! Were you a little nervous? All projects go through stages – enthusiasm about the possibilities, the temperance of realities and budgets, the excitement of seeing dirt move, the wonder and worry as things start being constructed and what it will really look like when done—and then the sense of pride and accomplishment when everything is complete. This project was a lot like that. I have to admit there were a few moments when those giant rain gardens were being installed when I wondered if I had just built a moat…ha! I also worried about maintenance for such a variety of plantings on the property. But, look at it now! It’s lush and beautiful, and when we had those huge rains this fall, did it ever do it’s job! And, Coulee Region Ecoscapes has been great at taking all my calls and answering all my questions about caring for it. Personally, my favorite part is the changing color of all of the plantings. We are literally going to have color all year. Oh, and raspberries and chokeberries! We have SO many of those! Why is being sustainable important for you and your business? 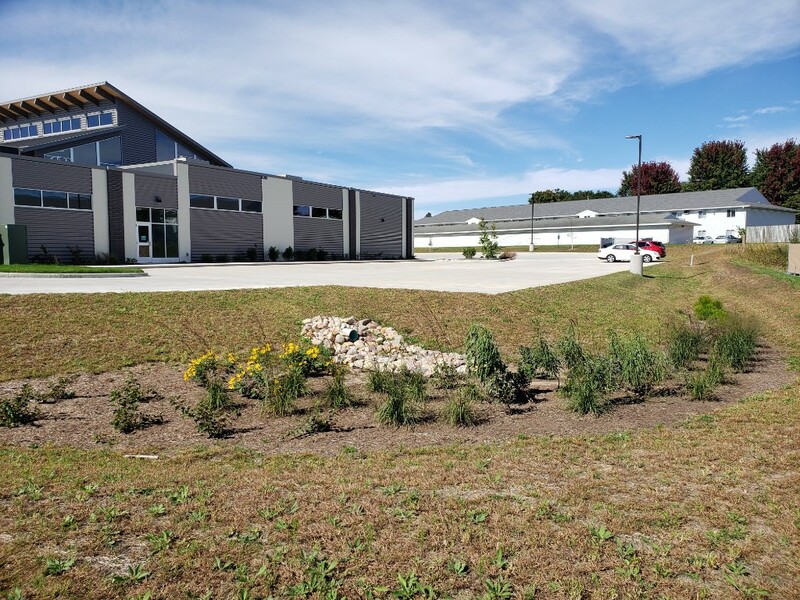 We run a national licensing company for dance studios, but building this facility here in La Crosse is a symbol of our commitment to the Coulee Region. We plan to be here for the long haul, so everything we do—from curriculum to staffing to building to landscaping—has to be sustainable. In your line of work you are dealing with hundreds of young, impressionable children. Is it important to you that they understand the importance of sustainability? Was any of the landscaping done with the kids in mind? The landscaping was absolutely done with the kids in mind! 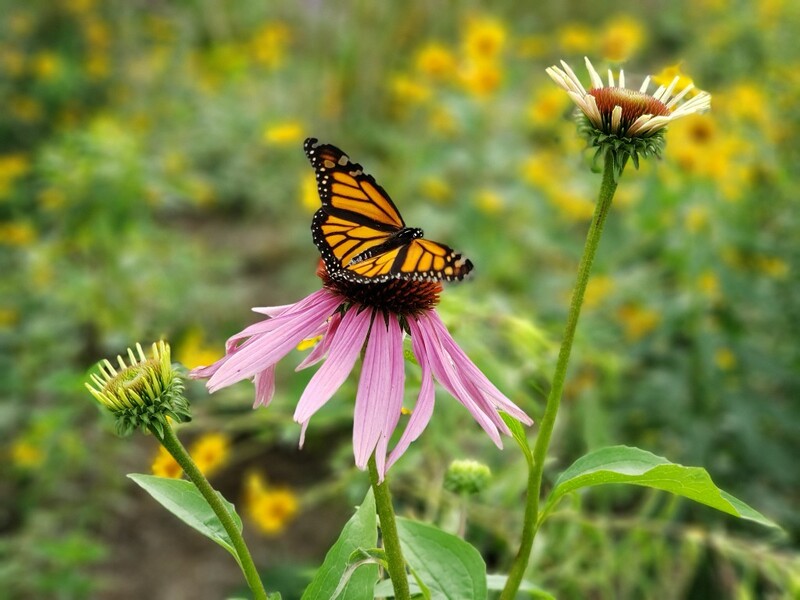 In particular, we are launching a preschool in the fall of 2019 and we absolutely envision the children taking part in caring for and enjoying the edible landscape. How cool would that be to learn about a plant, care for it, and then be able to make something to eat from it? I would’ve loved that as a kid. How did you feel when you first found out that you were nominated for The Soak it Up!Project Award? Surprised! I didn’t even know there was such an award or a group working so hard on this important issue. How did you feel when you realized you won the award? It feels awesome that our project has been recognized not only for doing great things for kids, but also for the community and the environment. And the other projects that were nominated were pretty awesome, as well! We truly live in pretty amazing community. What are your hopes for other homeowners and business owners in our community when it comes to reducing runoff? There’s a quote that is attributed to Mother Theresa that says, “If each of us would only sweep our own doorstep, the whole world would be clean.” I think that applies to so many things, but especially here. If we each do what we can, where we are, it will truly add up.